Due out on January 25 in Japan. 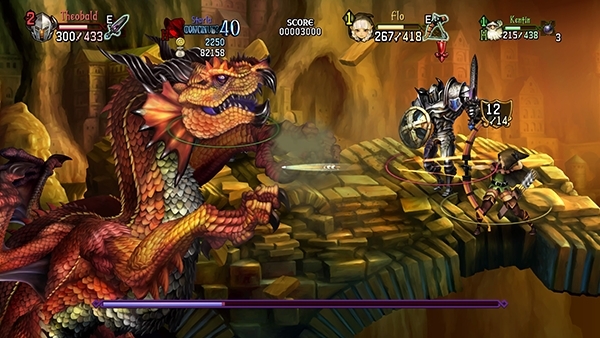 Atlus and VanillaWare announced Dragon’s Crown Pro for PlayStation 4 during the 2017 PlayStation Press Conference in Japan. It will launch in Japan on January 25 for 7,980 yen at retail and 7,389 yen via download. Dragon’s Crown Pro will feature 4K resolution support, the entire soundtrack newly recorded by a live orchestra, cross-play with the PlayStation 3 and PS Vita versions (as well as save data importing), and both English and Japanese voices. Moving Bestiary – Enjoy the expressive, detailed movements of the monsters that make up the world of Dragon’s Crown to the point where you can feel them breathing. Special Custom PlayStation 4 Theme – A product code to download a special custom PlayStation 4 theme only available in the Royal Package edition. Other Stuff – Digital art and material contents.